Dr. T.S.Rukmani was the first woman and the second person to receive a Ph.D in the Department of Sanskrit, from Delhi University since its establishment in 1930. In 1991 she was honored with the highest degree of D.Litt, the first ever awarded by the Department, in recognition of a major contribution to the study of yoga philosophy, a four-volume critical translation of the Yogavarttika by Vijnanabhiksu. From 1964 to 1981 she was Lecturer and Senior Lecturer in Sanskrit in Indraprastha College at Delhi. During this time her scholarship was acknowledged by the Smedley International Fellowship, whose award in 1972 enabled her to study comparative philosophy at Toronto University, under the guidance of the world-renowned philosopher, the late Prof. B.K. Matilal. In 1989 she was awarded a prestigious fellowship at the Indian Institute of Advanced Study in Shimla, India. Between 1981 and 1993 she held administrative posts at the University of Delhi, as Director of the Women's Education Board (1981-1982), and Principal of Miranda House (1982-1993). 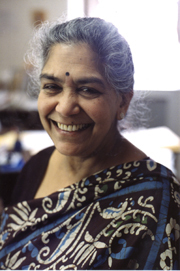 In 1993 Rukmani became Professor and Head of Department of Hindu Studies and Indian Philosophy, at the University of Durban Westville, Durban, South Africa, a post she occupied until December 1995. Since 1996 she has been Professor and Chair of Hindu Studies, at Concordia University, in Montreal, Canada. Over the course of her career Dr. Rukmani has published ten books (which includes the four-volume annotated English translation of Vijnanabhiksu's Yogavarttika), twenty-three articles, and contributed to a dozen other publications, including articles on yoga in the Encyclopaedia of Indian Philosophies, on Patanjali and on Panduranga Sastri Athavale in the forthcoming Encyclopaedia of Hinduism, and on 'The Concept of the Self in Hindu Thought', in the Routledge Encyclopaedia of Philosophy, published in 1998. While her main work has been on the philosophies of Samkhya-Yoga, and Sankara's Advaita Vedanta, she has also written on folk traditions in the Mahabharata in South India, Kalidasa and Shakespeare, women in the Bhagavata Purana, environmental ethics in Sanskrit sources, Mahatma Gandhi and women, Vedanta and the bhakti traditions, and religious consciousness. She has recently edited a volume on the Hindu diaspora and completed a two-volume translation of the Yogasutrabhasyavivarana. In this study the Yogasutras of Patanjali, the Bhasya of Vyasa on the Yogasutras, and the Vivarana of Sankara have all been brought together, for the first time in one work. She spoke to Lokvani about her career and about the value and relevance of Hindu thought and ancient Indian Sanskrits in modern life in North America. Lokvani: What motivated you to study Sanskrit? Rukmani: I was a reluctant student of Sanskrit. I did my BA in mathematics and I was very passionate about it. But my father who did not know Sanskrit well wanted one of his daughters to learn the language well enough to explain the ancient scriptures to him. I was obedient and decided to do as he asked. Fortunately Panini�s grammer grabbed my attention. The manner in which he has codified the language with precise rules makes it something that attracts those that are mathematically inclined. I did top the University for my Master�s. Lokvani: In the early 50s going to college was not normal for women let alone doing a Ph.D. You did this while playing the traditional role of mother and wife. You also a chose a teaching career and became the principal of a premiere institution � Miranda House. Was it difficult? 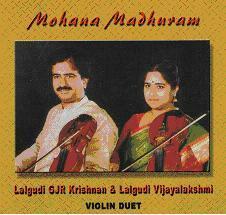 Rukmani: I was very fortunate to have an extremely supportive husband and in-laws and hence nothing was difficult. My husband was in the Air Force. When I got married, I was already enrolled in the Ph.D program. He encouraged me to finish my Ph.D. We had our first child after I finished my Ph.D. In those days women never were expected to have a career. I think in many ways it was an advantage for one did not have to be mindful of economic pressure while choosing a major. I never intended on having a career. When the offer to teach came my way, I took it up. Later I was offered the Principal�s position. As the Principal I was successful in expanding the programs and improving the infrastructure of Miranda House. It was a very rewarding experience. Lokvani: You are a faculty in Canada and you are putting a lot of energy to teaching of ancient Sanskrit texts and Hinduism. What is the value of these texts and Hinduism to Canadian or American student? Rukmani: I think these ancient texts give a different world view to students and thus can be a mind opening experience for them. Open minds create a better life. The Hindu philosophy puts a lot of emphasis on �Anahankara� or �the removal of Ego�. Ahimsa (non-violence), Satya(truth), Asteya (lack of greed), Bhramacharya, (control), Aparigrapha (lack of covetousness) are concepts that are deeply emphasized in the Hindu texts. These are values that have existed since the time of Manu and even today these values can help us lead a better life. I am now teaching a course titled �Sathyagraha to Swadhyaya� which deals with how during the recent times people like Mahatma Gandhi, Vandana Shiva, H.M Bahugina, Pandurang Sastri Atavle and others have used the Hindu thought as a framework to bring about positive social change. Lokvani: The concept of Dharma and Karma is very central to the Hindu thought. Could you explain these terms? Rukmani: I define Dharma as �Behaviour that behoves a human being. - Dharyathi iti Dharma� � - -- that which uplifts is Dharma. Karma, in the initial connotation was referring to only Vedic rituals that bring about good things. Over the centuries the meaning changed and now it has come to mean actions that have consequences over to the next life. Lokvani: Why is concept of Karma so important? Do you believe in rebirth? Rukmani: I think Karma and rebirth are very important concepts that had a profound impact on people. At a time when science was not very advanced people lived in fear of the after life, in fear of hell. The concept of rebirth removed the fear of death. The concept of Karma encouraged people to do good so as not suffer in the next life. It created a framework for a fearless society where good actions were encourages. Personally I think the concept of rebirth does have merit. Lokvani: You are planning on giving a course on Advaita Vedanta at UMass-Dartmouth. Could you tell us a little about the course? Rukmani: I am going to discuss the Philosophy of Adi Shankara. As you know he had a profound impact on all of India. He was a unifier who by bring the concept of Advaita or the importance of the one Bhraman was able to unite the different factions of Hindus who were constantly at odds with each other. I am going to give a little feel for the Bhramha Sutra Bhashya which is a commentary on the Vedantic works. Lokvani: During the BJP regime the concept of Hindutva was in the forefront. Do you have any comments on that? Rukmani: Everything has positive and negatives. I think that during the BJP regime, perhaps for the first time since independence people did not feel ashamed of calling themselves Hindus. I consider this an extremely positive step. But if Hindutva is used as stick to harm others I do not approve of it at all. Lokvani: As a woman who accomplished great things while having held the traditional role of mother and wife, do you think that the Hindu thought conflicts with feminism? Rukmani: Not at all. In my book every woman should decide what she wants of life. That is feminism. But once you decide that you have to identify your Dharma and carry it out to the best of your ability. You may choose not to become a mother but if you do you should try to handle motherhood in the best possible manner. I think the same holds true for men as well. Lokvani: What is your goal in life? Rukmani: It is to introduce the Sanskrit texts to the community at large - be it Adi Shankara�s Adavita Vedanta or Kautilya�s Artha Shastra. They are great reservoirs of knowledge that can have profound impact on the reader. Lokvani: Thankyou for your time.